God loves a “tryer” and as Mr Piglet says I’m very trying! Every year I attempt to grow my own vegetables with varying degrees of success. 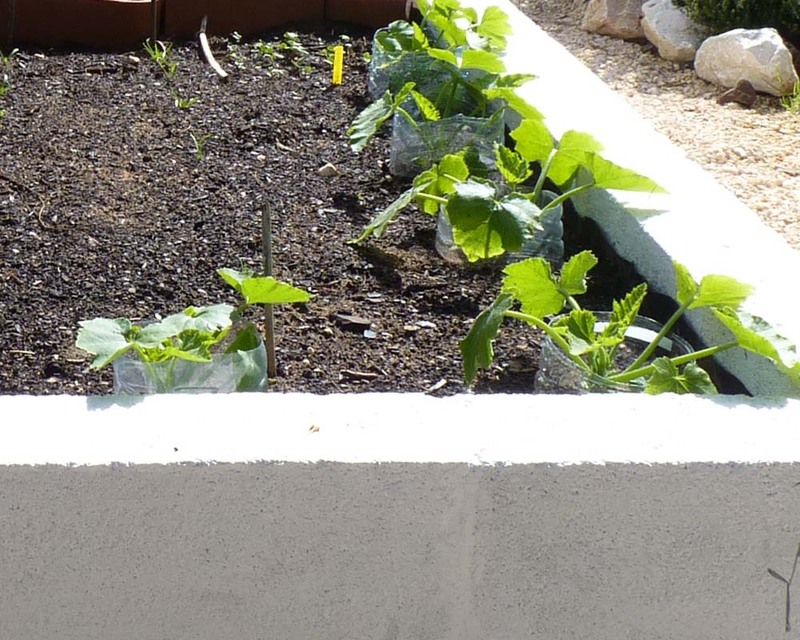 I do not have a Horta (Allotment) but a patch of poor sandy earth in a small, windswept urban garden in the Algarve. High humidity and salt air, due to the close proximity of the Atlantic Ocean, wreaks havoc with many vegetables causing a white mold to appear on their leaves. We have our own micro-climate and as yet I have not found a definitive guide to growing vegetables in the Algarve. Basically it’s very much trial and error! Frosts are rare and I have noted temperatures during February and March can be as high as 20C during the day, but at night can plummet to as low as 5C. I am still experimenting as to what to plant when and what’s successful and what’s not. I intend to use my gardening posts, instead of scraps of paper (which I usually lose), to keep a record and hope other aspiring gardeners in the Algarve and maybe even further afield may also find my ramblings useful and hopefully, even reciprocate by sharing their successes and failures. I’m not proud all suggestions welcome! Last year I abandoned the space loosely but lovingly called my vegetable plot as the hedge and trees planted to provide shelter and privacy sapped any nourishment from the soil. “Can’t” is not in Piglet’s vocabulary so I decided to experiment as to which herbs, fruit and vegetables grew well in pots. These included cucumbers, courgettes, tomatoes, lettuce, spinach, strawberries, squash, French beans, radish, basil, parsley, garlic, chili peppers, aubergines (egg plants) and bell peppers. So if you live in an apartment with a sunny balcony or have a small garden there is no excuse not to grow your own! I admit the planning and location of my vegetable plot was not one of my “brightest” moments and one I came to regret. I am now pleased to say I’ve found a solution! Mr. Piglet, after much persuasion and groveling on my part, has just built me a raised vegetable bed! I won’t tell you how many bags of soil and manure has gone into the bed so far plus my complete compost heap. I will still be filling it up from my organic compost heap next year…to the “dulcet” tones of Mr. Piglet saying “I told you it was too big” Don’t you just love it when men do that? The plan this year is to grow my tomatoes, strawberries, garlic and chili peppers in pots, but grow spinach, French beans, beetroot, cucumber, squash, watermelon, lettuce, aubergines, yellow peppers, radishes etc in the raised bed. 7/2 Bought baby courgette and strawberry plants from market. Planted courgettes in new raised bed but protected them with plastic collars made from the 5Ltr water bottles and strawberries in pots. I will sow further courgette seeds in April/May for a later crop. 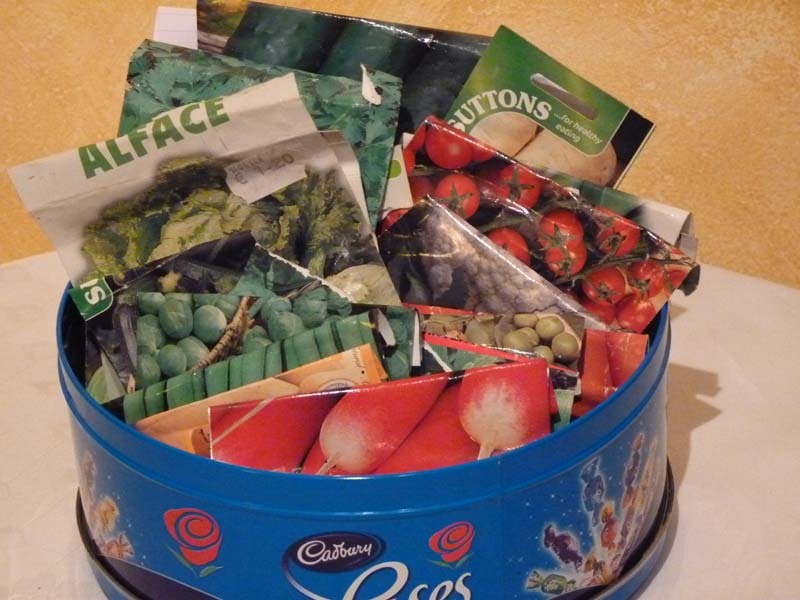 10/2 Started seeds in pots: cherry tomatoes, beef tomatoes broad beans, French beans and cucumber. 23/2 Started seeds in pots: Lettuce, aubergines, schnaufer tomatoes and flat leaf parsley. I prefer to start all my own vegetables from seed but sometimes I do feel they are doomed the moment I open the packet. It seems very hit and miss and I’m not sure why. Maybe it’s the soil, too much water, not enough light, to cold. I’ve tried to buy some fine Vermiculite to add to the soil but as yet I have been unable source any due to language/translation problems as I understand this may help. 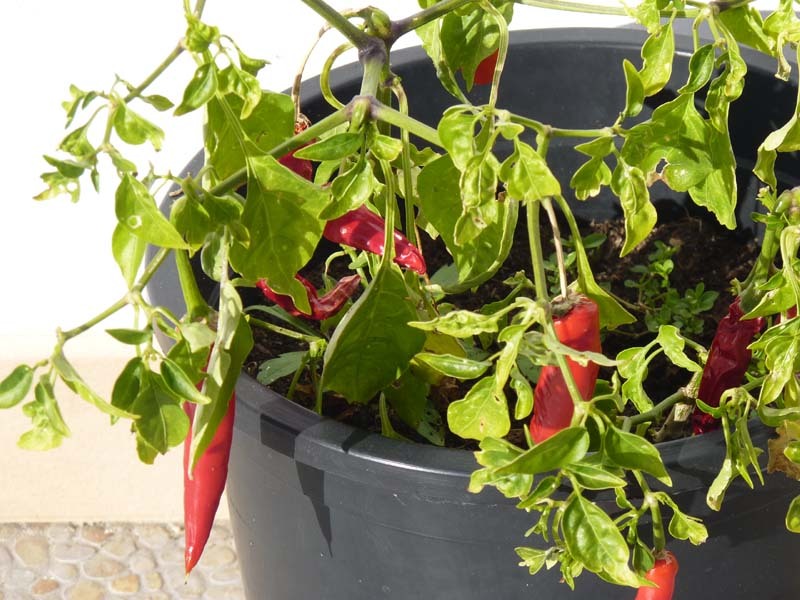 Related posts: Container grown veg, fruit and herbs – success or failure? Salad Days ‘Poorly’ Courgettes Grow my own Salad – now that’s a challenge! If anyone has any suggestions or can offer any useful tips, as I said above, please PLEASE share! Great post PiP! I love gardening (especially my vegie patch), and am always looking out for tips and tricks to improve my growing. When you said you protected your courgettes with plastic collars made from 5Ltr water bottles – can you explain in more detail? I planted strawberries straight into the ground and mulched them around with straw but am not having great success – in fact, they are all dying on me and I don’t know why. I live in the sub-tropics of Australia and wondered if they are getting too hot during the day as we get very high temperatures. I was thinking I might try some in pots next time, as you are. I cut the water bottle in three. the bottom part I either use as seed trays (punch holes in the bottome) or a pot saucer to retain water. The second part I use as a collar to protect young seedlings from the wind and to some degree slugs and birds , and the top part as a cloche. I think I will take some photos 🙂 as they say a picture saves a 1000 words. Have you planted them too deep -do not cover the crown as this will cause them to rot and die. 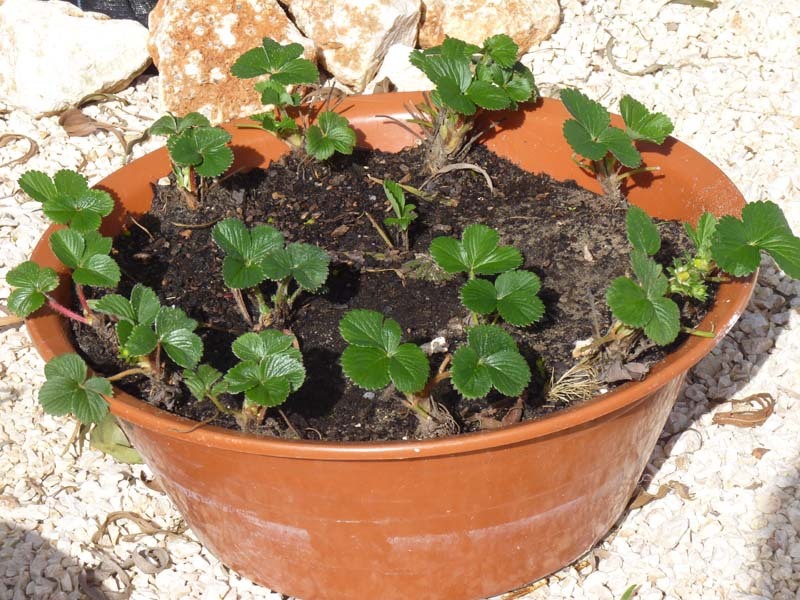 One tip I read is do not plant strawberries where peppers, tomatoes, eggplant and potatoes have been grown as They could harbor verticillium wilt, a serious strawberry disease. I take it they get plenty of water. This was one thing I failed to do last year and had to buy all new strawberry plants, this. Apprently you are meant to pick off the flowers the first year to encourage healthy plants, runners and a better crop next year…not sure I could bear to do that! Cats! we wont even venture there! We also have lynx that has taken a liking to our garden. Drying out is a problem with pots, so I tend not to plant directly into teracotta pots now unless I line them with plastic first. The pots with water reserves sound a good idea! I’ve grown tomatoes, basil, peppers, zucchini with success. Carrots, green beans, and peas have never done well. Other than the carrots, I buy pre-started plants, not seeds. Have fun! I hope you have a bumper crop this year! Hi PiP, My Mr. has just completed our new garden. I think it’s too big, but he says not. We plan to grow garlic, onions, carrots, tomatoes, squash, arrugula, peas, watermelons, lettuces and cilantro. I will be posting our progress as well. Wishing you plenty of sunshine and ample rain. Hi PiP, my mom used to plant eggplants in the garden until a cousin said they grow nice in containers. My mom tried it the following year and was so happy with the results that she started growing most of the eggplants in containers. She re-used the large plastic pails that the grape’s juices are sold in if you’re making wine. ~I’ve always wanted to try and make wine, but as Mr Piglet says it’s so cheap here, it’s not worth the effort! Are you growing any veg this year? Being Italian, my mom and dad would never drink store-bought unless it was Champagne. The rest of my family is still carrying on the tradition of making wine and that would make my parents very happy. Go Pip! My suggestion would be to look around, find a great looking veggie garden nearby, and befriend the gardener. They could be an invaluable source of info about local gardening. Barring that, seek advice from your local garden centre, or wherever you buy your seeds and starter plants. And just keep trying stuff, who knows, maybe you’ll become the neighborhood expert! Trouble is JC I can’t speak the language that well 😦 I’d love to pick the brains of some of the old farmer boys; I could learn so much from them. 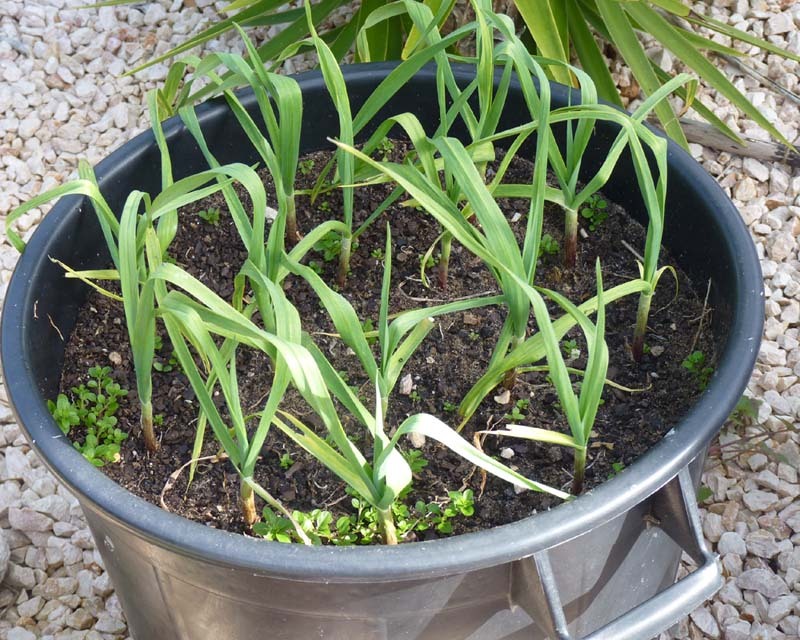 ~I would love ttry some of the walking garlic you mentioned on one of your posts…not luck here in portugal. Do you know of any markets in Lisbon where Ican buy seeds (for flowers and vegetables)? I’m looking for marigold seeds and poppy seeds especially. Poppies I can’t say I’ve seen. A friend of mine orders her seeds online. I love marigods…aren’t they good for preventing whitefly, and nice in salads? Hi Piglet…I am also a hit and miss gardener…more miss than hit. I have, however, managed to get a couple of red peppers going…one tip about them…don’t give up on them…they seem to take a hell of a long time to get established…can’t remember how long but it seemed forever…once they ARE established they just keep on bearing….I have mine in pots. Having read your post I am now going to attempt some tomatoes too! Interesting re Red peppers, I must give them another try. I have a very brown thumb! Luckily for me, my daddy doesn’t and give me lots of leftovers from his garden. The only garden I was able to grow was when we lived out in the country and the garden was near the septic field for our house! Sounds gross, but the veggies were great! Gardening is certainly a challenge if its not the salt air it’s the bugs…well thats another story! I bet you have some nasties where you are located? Miss Piglet, I am impressed with your determination and the variety of plants you’ve made an effort to grow. Here, in the southern USA, I’ve found that adding lots of organic material to the soil and putting lots of mulch on top of the soil help tremendously toward holding in moisture and producing healthy plants. Although I’ve not had much of a garden in the past fews years, I have, in the past, been successful using worms for composting vegetable scraps. The resulting worm “poop” makes a fabulous medium in which to grow seeds. Happy gardening! Worm poop from vegetable scraps sounds like the ultimate in recycling. 🙂 I like that idea 🙂 Unfortunately, worms are like hens’ teeth in my garden. Maybe the the soil is too salty. I like the idea though and it would breakdown the compost more quickly.